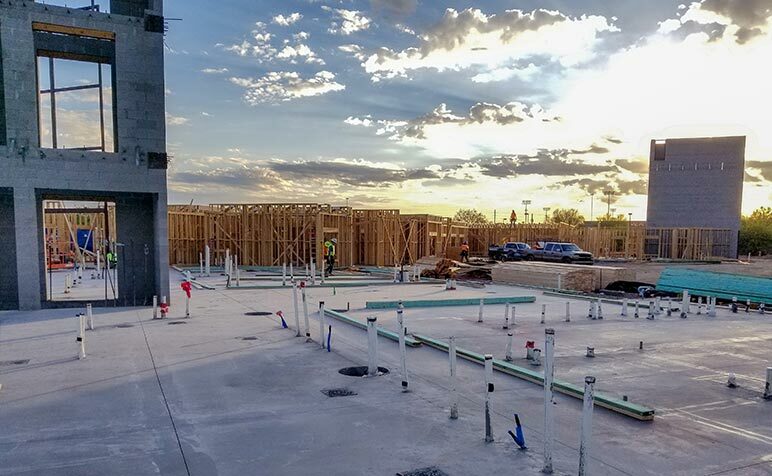 Construction is progressing at the Residence Inn – Scottsdale. The lobby of the hotel is in the foreground with the guest rooms (wood framing) in the background. The masonry tower on the left is the elevator shaft and the one on the right is the south stairwell. The project is scheduled for completion in the summer of 2019.